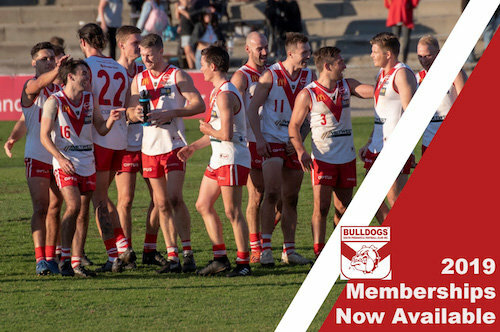 IT might be a significantly different looking South Fremantle team, but after a Round 1 victory the Bulldogs can make it a perfect start to the 2019 WAFL season hosting Perth at Fremantle Community Bank Oval on Saturday. There have been significant changes to the South Fremantle team from last year's preliminary final loss to West Perth to last Saturday's Round 1 win of the 2019 season against Swan Districts at Steel Blue Oval. 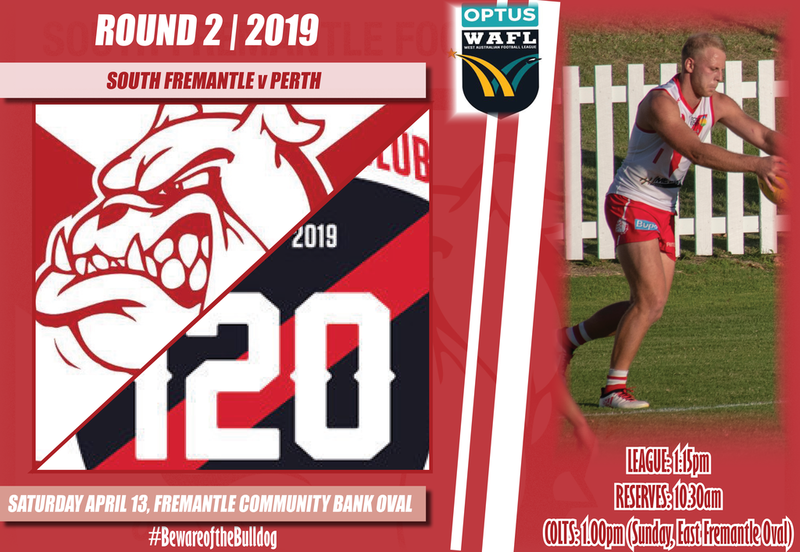 However, it was a winning start to the season still for the Bulldogs and now is the chance to make it a 2-0 start to the new campaign hosting Perth at the port this Saturday. The league game will begin at 1.15pm following on from the reserves clash bouncing down at 10.30am. 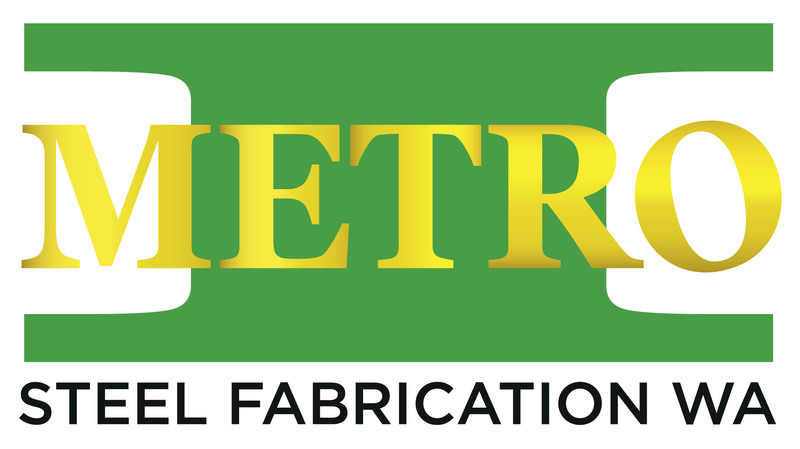 Meanwhile, the colts contest between South Fremantle and Perth will take place on Sunday at East Fremantle Oval at 1pm. South Fremantle might have been without Marlion Pickett last week due to his broken finger that will keep him sidelined for at least a month. The Bulldogs then lost captain Dylan Main early in the piece with a hamstring strain with Seaton Thompson also going off with an injured shoulder. That meant it was a brave showing from the Bulldogs to hold on for the four-point victory against Swan Districts to start the season on a winning note and make it five consecutive wins over the Black Ducks. South Fremantle now looks to make it four straight home victories against Perth this Saturday. And while the Demons did pull off a stunning comeback victory over the Bulldogs in Round 10 last year, South Fremantle responded to win by 78 points back on home soil in Round 20. That continued South Fremantle's dominance over Perth in coach Todd Curley's time at the helm. Prior to that shock loss last year, the Bulldogs had won eight straight matches over the Demons by an average of 52.1 points. All up in Curley's four years at the helm, he holds an impressive 8-1 record over Perth. But the Demons arrive at Fremantle Community Bank Oval in good form and full of confidence having defeated the West Coast Eagles by 46 points at Lathlain Park. 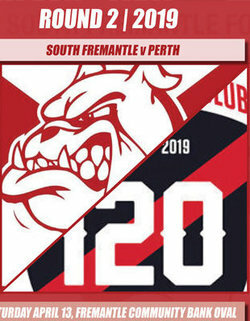 While it's a distinctly different South Fremantle team than the one that has dominated Perth in recent years, the Bulldogs deserve to feel good about their opposition albeit cautious knowing the Demons are a team that does appear significantly on the rise. 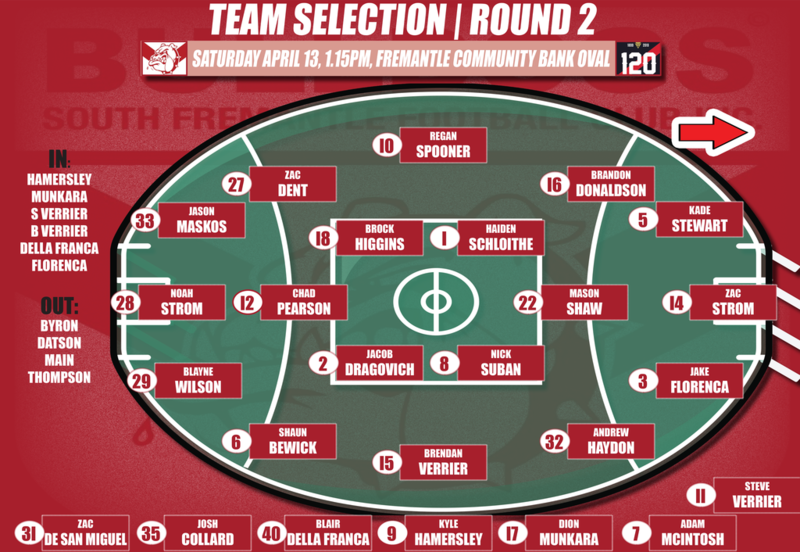 South Fremantle has made four changes from the team that beat Swan Districts last Saturday, with Main, Thompson and debutant Caleb Datson all out of the line-up through injury. Glenn Byron is the other player to go out for the Bulldogs. Brendan Verrier is a tremendous story to be coming back into the side for South Fremantle. On-going concussion issues meant he missed all of 2018 but he has been able to do a strong pre-season, played well in the reserves last Saturday and now has earned his place back in the league team. His brother Steve Verrier will be back too after a run in the reserves while South Fremantle too will blood two more debutants in the form of Kyle Hamersley and Dion Munkara. Meanwhile at Perth, there's little reason for change coming off the big win over the Eagles. But they do regain lively small forward Cody Ninyette with Matt Thompson making way for him.